Granted, the GX gets the job done, especially if you need a third row suitable for adults, along with plenty of towing capacity. When properly equipped, this Lexus SUV can tow up to 6,500 pounds, or considerably more than rivals like the Acura MDX, Volvo XC90 and Infiniti QX60. The GX 460 also delivers a third row that's more comfortable and spacious than the one founds in Lexus' own RX 350L sport-ute. Give the Lexus GX credit for not bending to the whims of fashion and hashtag trends. If SUVs were smartphones, this Lexus would remain a staunchly proud flip phone — heck, maybe even a rotary dial! 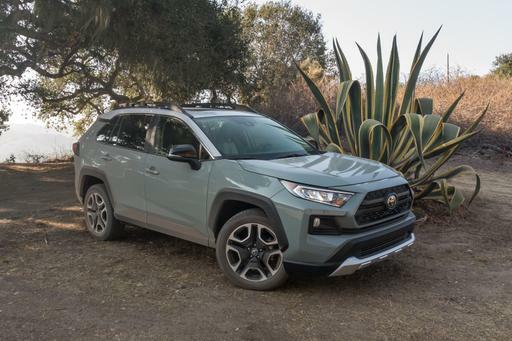 The body-on-frame architecture is a tough design that's used on pickup trucks, as well as rugged off-roaders like the Jeep Wrangler, Toyota 4Runner, Infiniti QX80 and Chevrolet Tahoe. It provides a solid base for all-terrain suspensions that are suitable for the toughest adventures whenever paved roads end. Whether they're in the luxury market or not, many SUV shoppers really need a usable third row. In the GX, the rear seats can be used by actual adults, though Wiesenfelder commented that getting back there is "a climb." Still, compared to the third row in the Lexus RX 350L, the GX offers more headroom (35.2 inches versus 34.8) and greater legroom (29.3 inches versus 23.5). If you need extra seating, really want a Lexus vehicle, and balk at the higher price of the Lexus LX, then the GX fills a unique niche. The Lexus GX has a maximum tow rating of 6,500 pounds, giving it an advantage over many luxury SUVs that use unibody construction. Case in point, the Lexus RX 350L can tow 3,500 pounds, while the Acura MDX tops out at the same level. 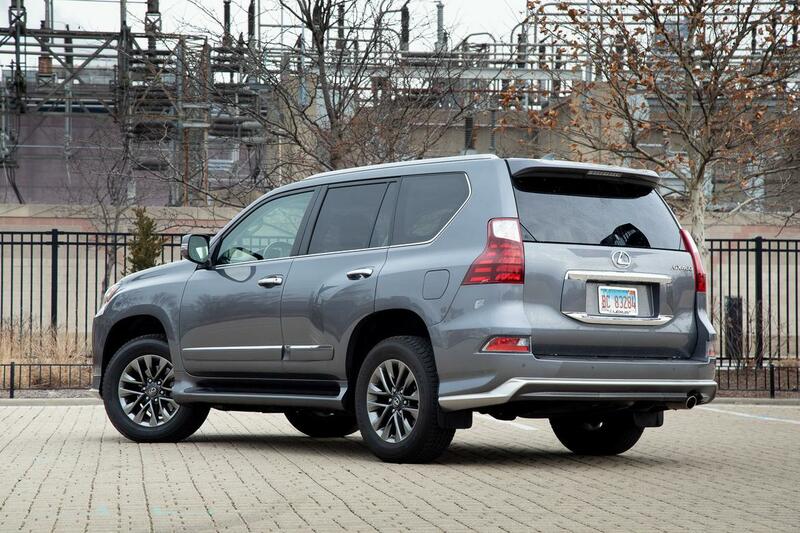 Even the larger Lexus LX betters the GX's towing capacity by only 500 pounds. On the flipside, the similarly all-terrain-focused Land Rover Discovery serves up more than 8,000 pounds of towing capacity. Just saying. 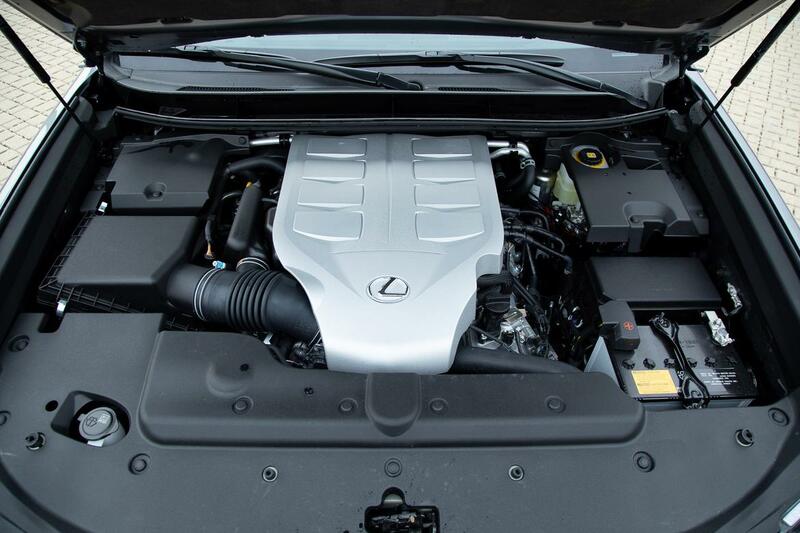 Lexus has a superb record for reliability and a great dealership experience. 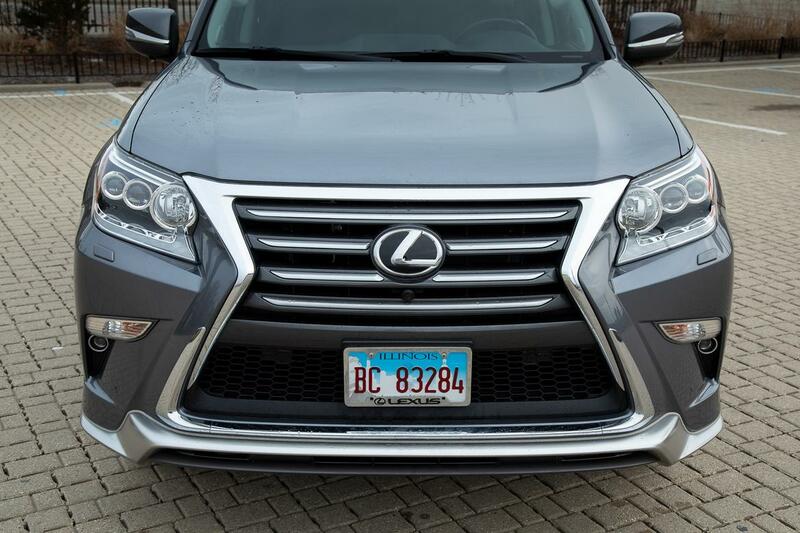 For many car shoppers, these traits alone will keep them in a Lexus dealership and the GX firmly on their SUV shopping list. We'll admit, while it doesn't factor into our review, the exterior design of the GX has a certain square-shaped appeal, too. We already talked about the all-terrain capability of the GX, but let's back up the boasting with real hardware. The GX is fitted with four-wheel drive as standard; the system never operates in two-wheel-drive mode to help save fuel (more on that point later ... which, spoiler alert, is going nowhere good). 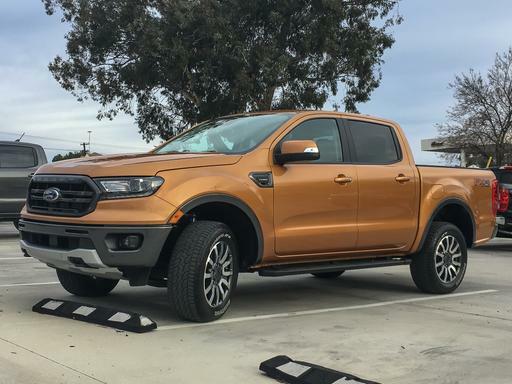 The transfer case has a 4-Low setting for serious rock-crawling duty, a suspension with adjustable height settings, and Crawl Control for traversing off-road obstacles slowly and carefully. Much of the Lexus lineup is cursed with a confusing infotainment system that's controlled by the Remote Touch Interface, a touchpad located on the center console. 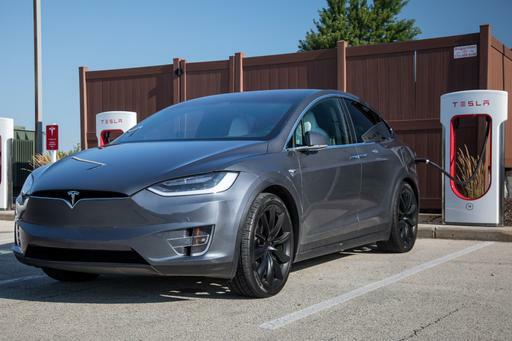 "Despite their years of revisions, we just don't like it, and we're not alone," Wiesenfelder noted in his comments about the system. 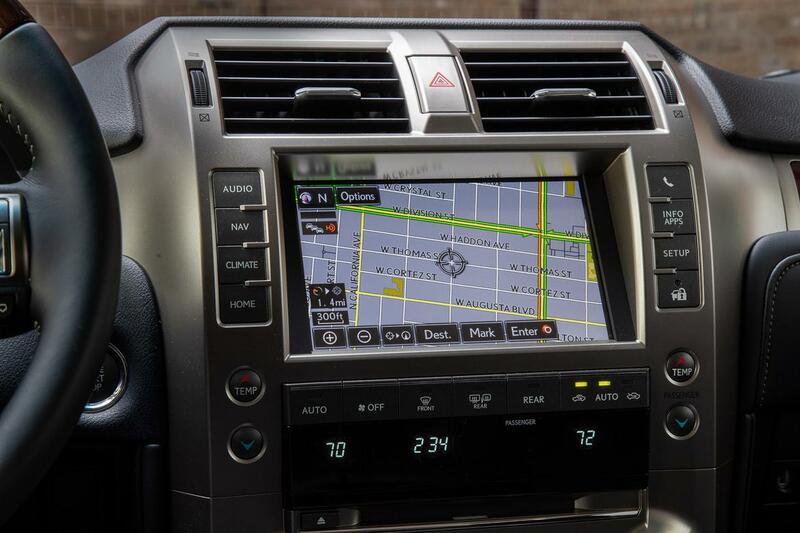 It's lucky for the GX that the infotainment system is a simpler touchscreen that forgoes the more recent interface. It's an older design but, in this case, it's the better one. 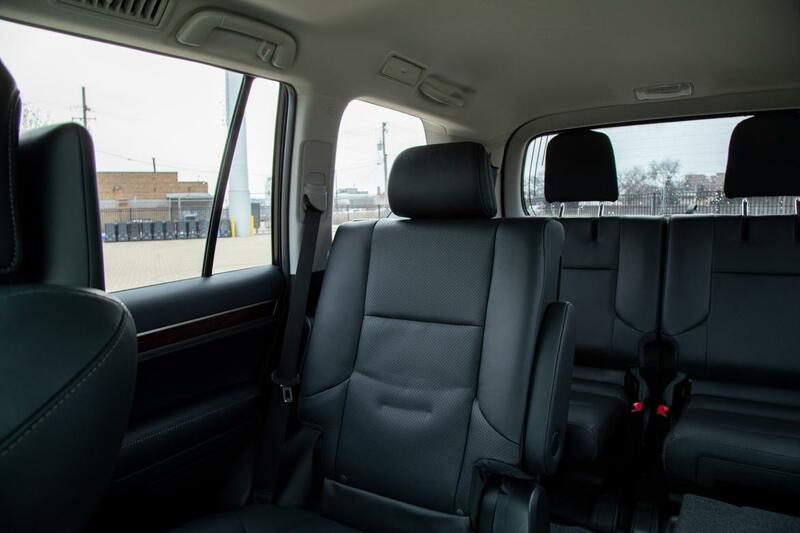 How Do Car Seats Fit in the 2019 Lexus GX 460? Which 2018 Three-Row SUVs Offer Captain's Chairs? 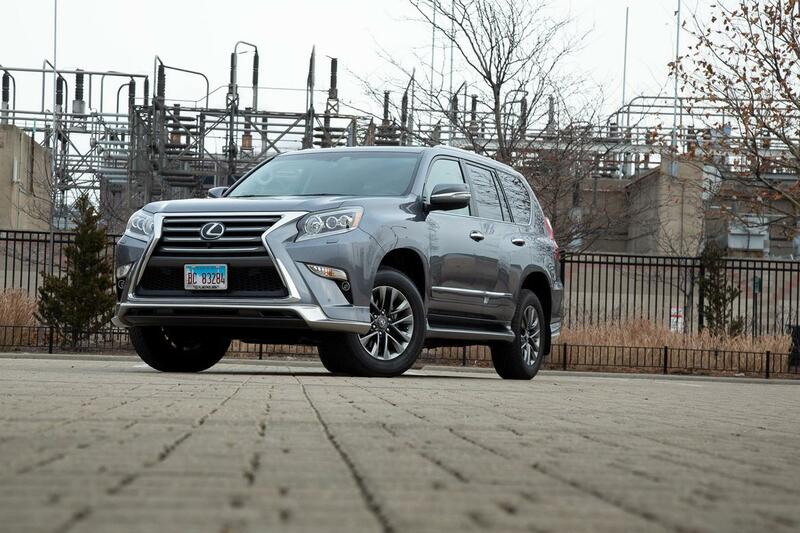 There's no getting around the fact the Lexus GX is, at heart, a truck. The ride and handling, acceleration and behavior under braking all trail more carlike rivals. "It may have adaptive shock absorbers, load-leveling rear springs and a Kinetic Dynamic Suspension System that's claimed to combat body lean, but we found the GX's body to lean easily and frequently," Wiesenfelder lamented in his review. The GX exhibited notable "nosedive" under heavy braking and "rear-end squat" under hard acceleration. We know the GX's infotainment system is easier to control than what you'll find in the brand's newer models. That was meant as faint praise. The graphics and controls still look and feel about a decade old. Yes, there is no maddening mousepad-like control to navigate — but that, alone, doesn't earn the Lexus GX a free pass when it comes to its interior tech. The third row in the Lexus GX is usable by adults. That's the good news. The bad news is that you'll need to show off your athleticism when it's time to get back there (and gracefully extricate yourself). There are easier and less-spine-challenging ways to transport up to seven passengers in a luxury SUV. Members of the Sierra Club need not apply for Lexus GX ownership. That's because this SUV's fuel economy is abysmal, with an EPA-estimated 15/18/16 mpg city/highway/combined. Pretty much anything this side of a Lamborghini or Ferrari supercar is friendlier when it comes to fuel bills. If you're planning on traveling with a full complement of passengers aboard the SS Lexus GX, the Cap'n better order them to travel light. 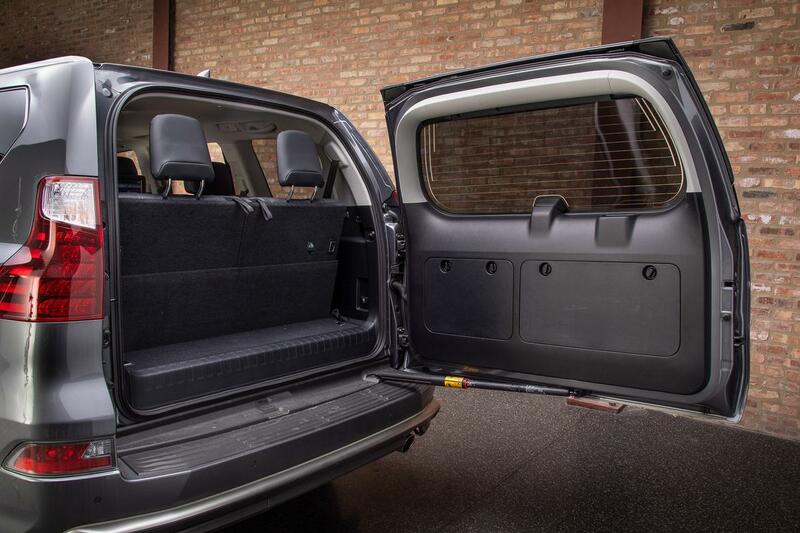 With the rear seats in use, there's less than 12 cubic feet of cargo room. That sounds more spacious than it proves to be in use, trust us. You can fold down the third-row seat for more space but, if you're doing that with any frequency, then why are you bothering with a third row at all?